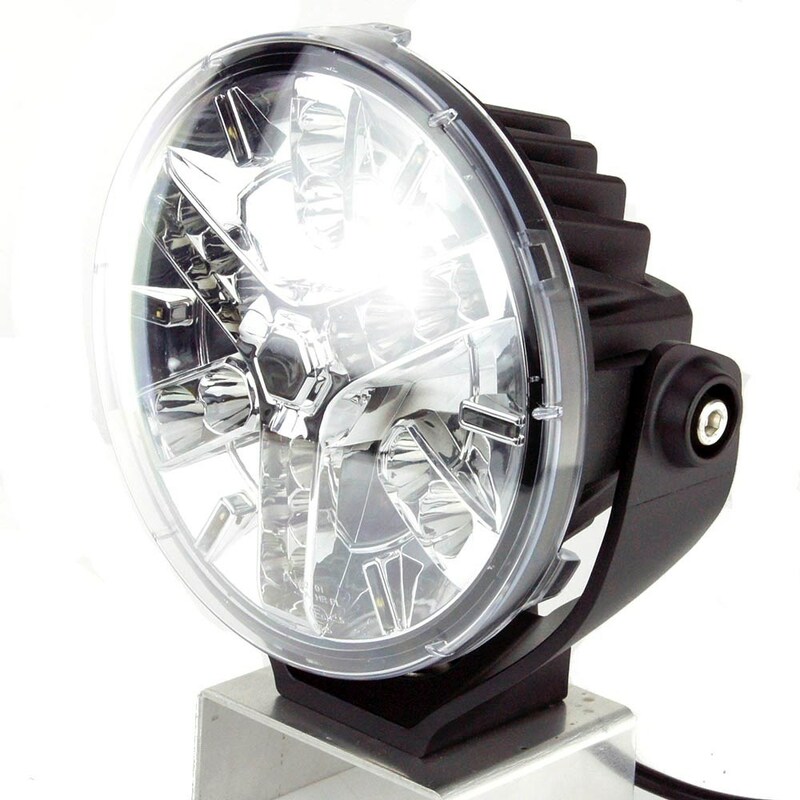 7" LED DRIVING LAMP WITH TILTING MOUNT 'E6' Marked. and 6 x LED's for front side light or position light. It has a Polycarbonate lens plus an additional clip-over polycarbonate cover. are satin black powder coated. Single M10 stainless bolt mount. Operating voltage 9 to 32 volts.